On Sept. 2, 1945, Forbes Meston '50 was one of thousands of U.S. Navy personnel gathered in Tokyo Bay as leaders from nine countries met aboard the USS Missouri to sign the Japanese surrender papers, effectively ending World War II. Standing aboard his ship, the USS Argonne, where he served as a quartermaster, the 19-year-old Meston thought about his recent past, and the days ahead. He had served in the Philippines and Okinawa, and now the future lay before him like a vast ocean. "I was thinking that if I made it to 65, this would probably be the most remarkable moment of my life. And that was about right," says Meston, now a nonagenarian living in Connecticut. When he returned to the States, Meston continued his college studies at Lafayette. Before the war, he'd completed the equivalent of three semesters at other colleges as part of the Navy's V-12 program, an accelerated curriculum designed to prepare officers for the war. Academics were mixed with courses on how to be a midshipman. But Meston admits that he didn't do so well. "In some schools the Navy made it virtually impossible to be in the Navy and in college at the same time," he says. "I knew my parents were upset that I was not as successful in my first attempt at college. And I really did expect to go back." So he did. When he arrived on campus, he was one of 689 veterans in his class. With total enrollment at 1,456, this turned the usual dynamics of upperclassmen-versus-lowerclassmen on its head. "My three other roommates were all combat service," Meston says. "Things like freshman hazing, that turned around totally. We sort of dared them to mess with us." Though early on interested in engineering, Meston majored in economics and business, and eventually started a career in accounting—something he never intended—"simply because I needed a job," he says. He secured a clerk position in his hometown of Bound Brook, N.J., where he worked for several years. Along the way, he married his wife, Pat (who died in 2010), and they moved to Troy, N.Y., where Meston become controller and eventually treasurer and vice president of a waterworks valve manufacturing company. The experience led to a conflict which, while not on the scale of the Pacific theater, led to one of the great struggles of his life as his company veered toward insolvency. "When you're 35 and your company is approaching bankruptcy, you question almost everything, like fighting a battle," he says. "The chairman of the board asked me to do things that were not proper. I decided he was putting me in a position where I was going to be personally liable for any violation of law, so I quit without having another job—with a three-year-old daughter and a pregnant wife. It took me a couple of years to get over the ulcers." He eventually found work in Connecticut as controller of American Thermos Company, which was eventually acquired by Household International. He remained with the company until his retirement, and found that his experience in Troy helped gave him perspective on issues that came up over the years. 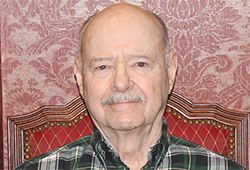 A man who knows his numbers, Meston decided to give to Lafayette through a charitable gift annuity (CGA) because the interest rate caught his attention. The CGA has made his financial situation simpler, he says, in that in six years, he has only needed to rebalance his portfolio one time. The income has allowed him to not touch other assets and incur costs associated with making necessary changes. This is particularly important because the move to a residential retirement facility has increased his cost of living, and Meston hopes to bequeath his other assets to his two children and two grandchildren. He's glad that the CGA enables him to continue the long-standing support he's provided to Lafayette's athletics and unrestricted funding. "It filled a requirement for me while supporting the College," he says. Now that's good business.